Plyometric training (PLY) is a very popular form of physical conditioning of healthy individuals that has been extensively studied over the last 3 decades. In this article, we critically review the available literature related to lower-body PLY and its effects on human neural and musculoskeletal systems, athletic performance and injury prevention. We also considered studies that combined lower-body PLY with other popular training modalities, as well as studies that applied PLY on non-rigid surfaces. The available evidence suggests that PLY, either alone or in combination with other typical training modalities, elicits numerous positive changes in the neural and musculoskeletal systems, muscle function and athletic performance of healthy individuals. Specifically, the studies have shown that long-term PLY (i.e. 3–5 sessions a week for 5–12 months) represents an effective training method for enhancing bone mass in prepubertal/early pubertal children, young women and premenopausal women. Furthermore, short-term PLY (i.e. 2–3 sessions a week for 6–15 weeks) can change the stiffness of various elastic components of the muscle-tendon complex of plantar flexors in both athletes and non-athletes. Short-term PLY also improves the lower-extremity strength, power and stretch-shortening cycle (SSC) muscle function in healthy individuals. These adaptive changes in neuromuscular function are likely the result of (i) an increased neural drive to the agonist muscles; (ii) changes in the muscle activation strategies (i.e. improved intermuscular coordination); (iii) changes in the mechanical characteristics of the muscle-tendon complex of plantar flexors; (iv) changes in muscle size and/or architecture; and (v) changes in single-fibre mechanics. Our results also show that PLY, either alone or in combination with other training modalities, has the potential to (i) enhance a wide range of athletic performance (i.e. 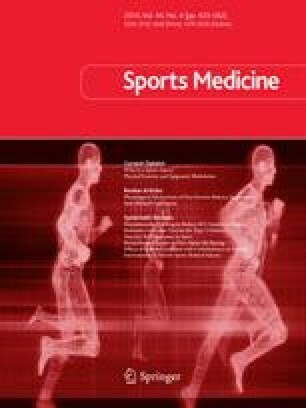 jumping, sprinting, agility and endurance performance) in children and young adults of both sexes; and (ii) to reduce the risk of lower-extremity injuries in female athletes. Finally, available evidence suggests that short-term PLY on non-rigid surfaces (i.e. aquatic- or sand-based PLY) could elicit similar increases in jumping and sprinting performance as traditional PLY, but with substantially less muscle soreness. Although many issues related to PLY remain to be resolved, the results of this review allow us to recommend the use of PLY as a safe and effective training modality for improving lower-extremity muscle function and functional performance of healthy individuals. For performance enhancement and injury prevention in competitive sports, we recommend an implementation of PLY into a well designed, sport-specific physical conditioning programme. Goran Markovic was supported by the Croatian, Ministry of Science, Education and Sport Grant (no. 034-0342607-2623). The authors have no conflicts of interest that are directly relevant to the content of this review.